Kwang Su (Shin Hyun Jun) has struggled his whole life to shake off the stigma of a shameful family history. He lives in a state of perpetual despair. By contrast, Jong Man (Lee Byung Hun) works as a bartender and spends his days dreaming of becoming an international movie star and his nights filming himself and contacting top Hollywood production companies in the hope that one day he will get his lucky break. Then there is the shy girl Se Hee who works in a music store. When Kwang Su stumbles into the music store, blind drunk, but still able to bash out a tune on a piano, Se Hee falls instantly in love. When Kwang Su stumbles into the bar where Jong Man works, he finds himself arrested for his brother's murder. But fortunately he manages to escape from the police, bumps into Jong Man who instantly lets him stay in his apartment. Japanese Flower Mar 05 2017 12:09 pm An early impressive role for actor Byung Hun Lee of IRIS fame. 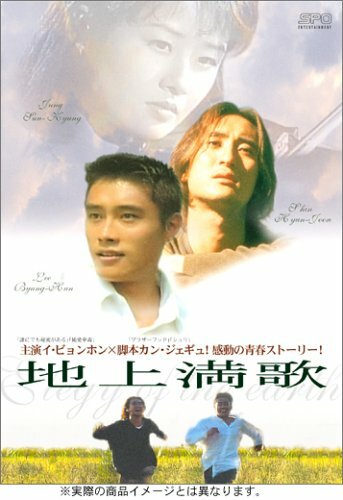 They should consider a remake of this film as another film or a K-drama, it had a solid theme to it.